LARNAKA, 19 (PEL) Lecture / open discussion on "European Union, European Parliament and European Cyprus was organized by the Rotary Club of Larnaca, at Atrium Zenon Hotel in Larnaca. The Head of the Information Office of the European Parliament in Cyprus, Mr. Andreas Kettis, in his contribution and answering the questions of the members of the WHO. underlined the importance of the accession of the Republic of Cyprus  to the EU. 27th State [following the expected withdrawal of the 28th - United Kingdom]. And the election of 6 MEPs to the European Parliament in Strasbourg with 751 members from 28 Member States [705 members after the expected 28-UK withdrawal]. The main conclusion of the views the speaker developed was the position that the European Commission is adopting the various laws that Member States are called upon to implement, the most important of which concern the environment. One of the key tasks of the European Commission is the preparation and voting of the annual Budget of the European Union with the approval of the European Parliament and the functioning of the 20 Parliamentary Committees of the European Parliament. An important position was the annual contribution of the Republic of Cyprus to the EU Budget. but at the end it gets back.
. 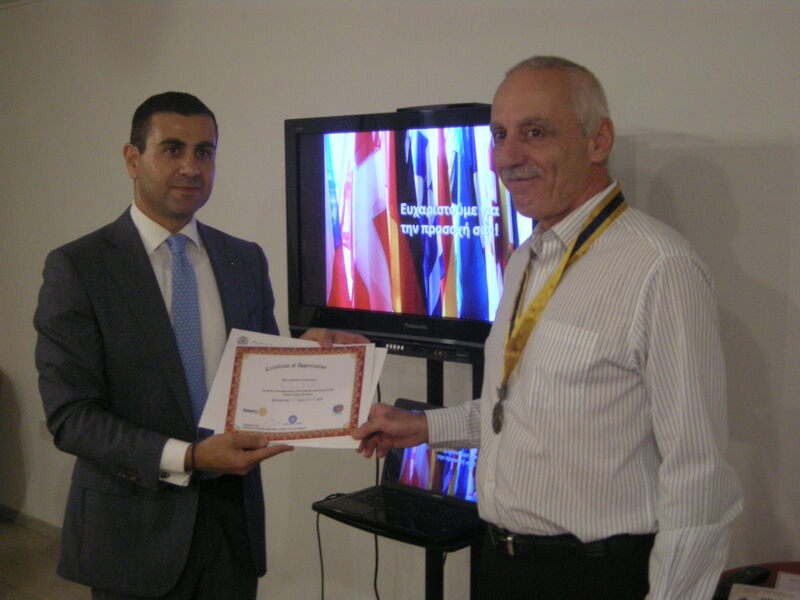 The distinguished speaker presented and thanked the President of the ROL, Dr. Marios Kyriazis.